Kareena Kapoor’s son Taimur is such a cutie pie that everyone around him wants to spend all their time cuddling with him. 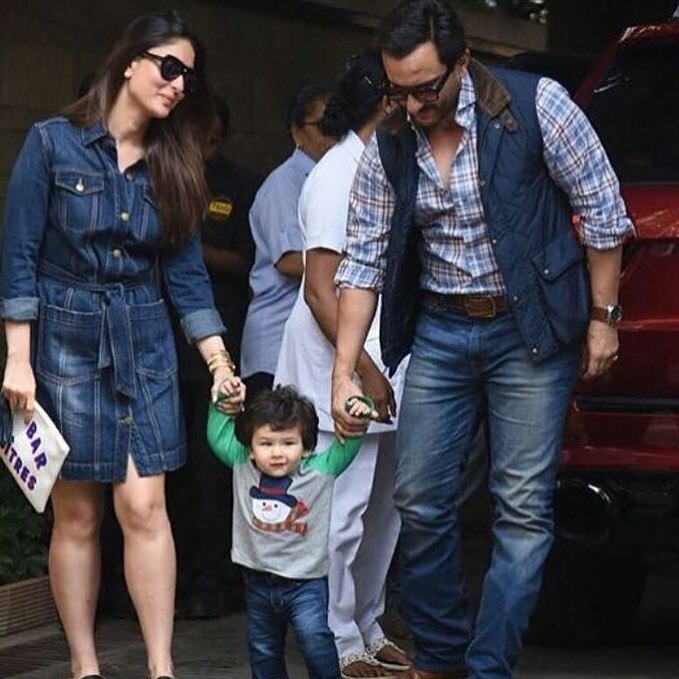 Alike every year Kapoor’s had a Christmas brunch with addition of new kiddo i.e Taimur Ali Khan. However, this year Kapoor’s had Christmas celebrations sans Shashi Kapoor who recently passed away. The entire Kapoor clan came together under one roof to celebrate Christmas brunch. Kareena – Saif hosted an in-house Christmas brunch for their family. Randhir Kapoor with wife Babita, Rishi Kapoor and his wife Neetu Kapoor, Ranbir Kapoor, Karisma Kapoor along with her kids attended the party. INSIDE PHOTOS: Kareena Kapoor Khan’s Son Taimur’s First Royal Birthday Celebrations! Tha paparazzi snapped the pics of the Kapoor’s and it was Taimur again who bowled us. Just after little Nawab done with his birthday celebrations in Pataudi, he made us go aww, again! 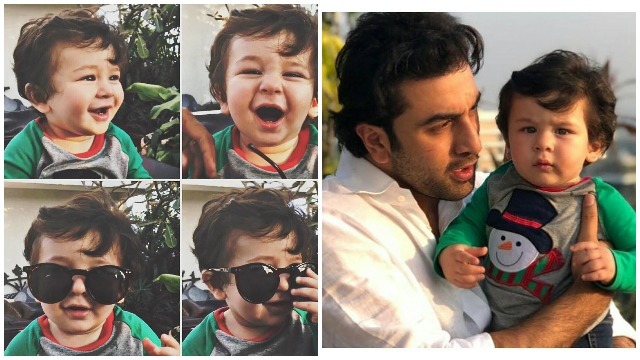 The Kapoor’s posted few pics and videos of Taimur on Instagram and and his smiles faded our mundane Tuesday. Everytime we snap Taimur, we fall head over heels for his little style and smile. Previous : Salman Khan’s Tiger Zinda Hai Makes A Smashing Collection Of 114.9 Crore In Three Days! Next : Inside Photos: SRK, Madhuri, Kangana, Dhoni At Virushka’s Grand Wedding Reception In Mumbai!